Getting nowhere with your Portugal trip planning? Pick my brains and get insider recommendations to help you make decisions and get back on track. Who is a Quick Query for? You’re so overwhelmed with options that you don’t even know where to start. You’ve got your Portugal itinerary sorted but are having trouble trying to figure out one or two vital pieces of the jigsaw. You’re torn between a few possible destinations and need some help deciding what’s best for you. You need insider suggestions to plan something special for you and your companion. You’re wondering about the best way to get around Portugal. You’ve heard great things about (insert destination) but aren’t 100% sure it’s worth trying to fit it in. You haven’t got time to research suitable accommodations etc. You’d like me to review your itinerary and make suggestions for improvement. How does a Quick Query work? These are usually 30 or 60 minute sessions during which we talk through your ideas, plans and questions. I’ll make notes in an open email during our call with links, spellings and other key information then send it to you so that you can take any follow up action. I find that talking is the most efficient way of dealing with as many of your queries as possible. If a voice consultation doesn’t work for you, I can use the time to answer your specific questions by email. It usually takes longer to answer questions this way so the minimum time for an email consultation is 60 minutes. Please be as clear as possible as to what you need to know. Note that if you have a lot of questions or your situation requires significant research, it may be necessary to purchase more than one session (see option C). If you would like me to research options or certain aspects of your Portugal trip but don’t need my full itinerary design service, you can use my Quick Query service to pay for my time on an hourly basis. Email me first to discuss your requirements and check my availability. Complete this form to make an enquiry. If I am able to help, I will confirm a time and send you an invoice. You can ask me about any aspect of your trip to Portugal that you need help with. I will answer it during the consultation if possible and send you any relevant links to further information. You’ll get more out of your consultation if you email your questions to me beforehand so I can start thinking about answers and have information to hand during our session. What if I haven’t got Skype? *If you haven’t already got Skype installed, it’s easy and free to download and use. Go to www.skype.com for more information. If you’re more comfortable with WhatsApp or Facebook Messenger’s voice service, we can use that instead. If technology frustrates you, you can call me on the phone instead. I’ll make notes during the call and send you a follow-up email with links to the information we discussed. What if I need more than 30 or 60 minutes of your time? If you have lots of questions and know you’ll need more time, you can increase the number of sessions when you make your payment. If it only becomes apparent during the discussion that you need more help, we can decide how best to proceed at the time. 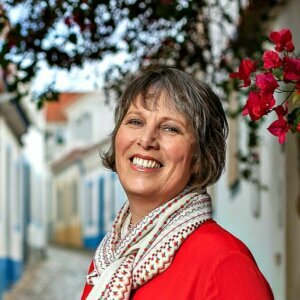 If you need me to work with you to build your Portugal itinerary from scratch, my itinerary design service might suit you better. What do people ask during a Quick Query? I’ve got a week in Portugal, flying into Lisbon and out of Porto. Can I fit in a trip to the Algarve beaches? I’ve heard they’re stunning and would like to have a day on the beach. Can you recommend a special restaurant in Porto for our last evening? We’d like somewhere that serves traditional Portuguese food in an elegant, romantic setting. I’m looking for a small, interesting town to use as a base for a few days while we explore Central Portugal. Can you suggest a suitable place to stay? I’ve found a hotel that sounds perfect but I’m not sure about the location – is it too far away from the main sights if we want to walk to them? Can you recommend a reliable tour operator/guide who can show us the best bits of the Douro Valley including a boat trip and wine tasting? I’d like to visit some of the smaller, non-touristy villages like (insert name of village/town) – should I hire a car or can I manage by public transport? I’d rather not drive if I can avoid it. I want to do some hiking while I’m in Portugal but I can’t find any information. Can I download route maps for (insert destination) or will I need a guide? Still not sure if a Quick Query is what you need? Email me ([email protected]) and I’ll consider how best I can help you.